From Ca’ Morosini, the heart of Venice’s historic center, St. Mark’s Square and its Basilica, the Doge’s Palace and Bridge of Sighs are conveniently reachable with a splendid 10 minutes stroll through the Venetian 'calli'. 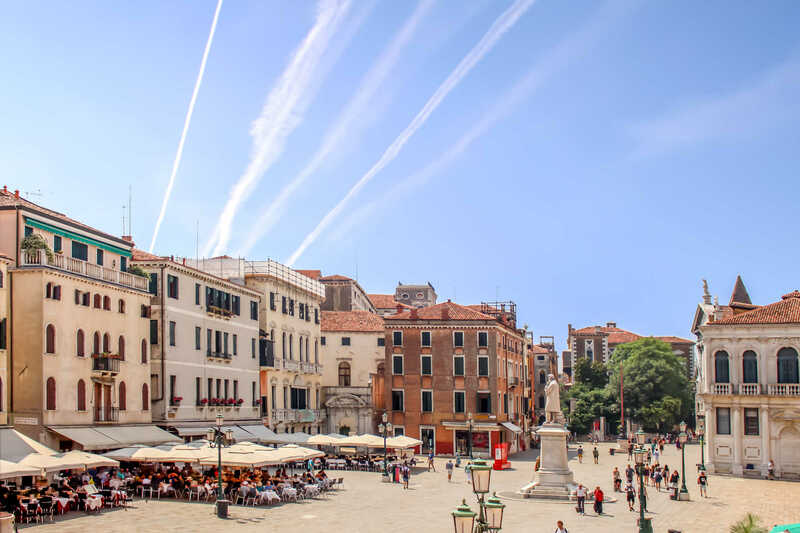 Ca’ Morosini is situated near Palazzo Grassi and the Galleria dell’Accademia, in the elegant setting of Campo Santo Stefano, one of the most beautiful and charming locations in Venice. Campo Santo Stefano is located in one of the city’s most authentic and evocative districts, in the Sestiere of San Marco, replete with art galleries and museums, as well as restaurants, cafés and typical shops, and services such as banks, pharmacies and markets. Just a short walk from Ca’ Morosini, the Palazzo Fortuny and Guggenheim Collection are a universal mecca for art lovers, on a par with the Pinault Foundation and the prestigious Teatro La Fenice. The Morosini guest house is also conveniently located near the boat stops (Sant’Angelo and San Samuele are just two minutes away), making it an ideal starting point for navigating the Canal Grande in the direction of the Lido di Venezia, the Rialto, Piazzale Roma and “Santa Lucia” train station. From the train station in Venice, take the vaporetto line 1 and get off at the Sant’Angelo stop. From here, Ca’ Morosini is just a 5 minute walk away: turn right immediately, cross a small bridge and continue on the left up to the end of the Calle dl Pestrin; Ca’ Morosini is to your right, in front of the church, at number 3465. From the airport in Venice, take the Alilaguna water shuttle, orange line. You’ll be at the Sant’Angelo stop in one hour. From here, follow the directions under ‘By train’. Alternatively, reach Piazzale Roma with the ATVO and ACTV line 5 bus, then take the vaporetto line 1 and follow the directions under ‘By train’. From “Antonio Canova” airport in Treviso, reach Piazzale Roma with the ATVO bus (45 min). From the A4 motorway, exit at Mestre – Venezia and proceed to the automobile terminal of Piazzale Roma. From here, the vaporetto line 1 departs for Sant’Angelo. Then follow the indications in the section ‘By train’. In Piazzale Roma, you can leave your car at the Tronchetto or in one of the municipal car parks.